Good communication, fairly priced, look forward to doing business with South Shore Generator. Just a quick note to tell you our generator was a God send during the storm and outages last week. It ran perfectly for 3 days and we were so pleased. Thank you for all you do. "As an non for profit Community Health Center with three remote locations on the Outer Cape and a customer for over 6 years. South Shore Generator has been instrumental in putting together a plan which meet the strict Joint Commission, NFPA 99 and 110 requirements for a Medical Center. In addition our unique need to be able to stay operational 24/7 in the event of a major power outage to continue to provide medical care to our patients and visitors in such a remote location. With the help of South Shore's expert staff in generators We decided to purchase three new generators and transfer switch's from South shore which they also installed. We have two 50KW's generators and one 150KW generator which power each medical facility with full power during an power outage which is frequent on the Outer Cape. South shore performs our required monthly run ups on generator load and provides our yearly general maintenance of each unit. Their technicians, service manager and office staff are extremely knowledgeable and very friendly and courteous with many years of experience. Even with us being remote they have always responded day or night in any emergency we have encountered and had us up and running in no time. As a Facility Director it is imperative to have a great generator contractor on your side and South shore generator is one of the best." 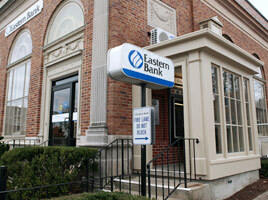 "We completed the installation yesterday! I am very pleased. The electrician was a doll! He was very good at setting times with me and being there when he said he would, he did a really nice, neat job. I am extremely pleased at how organized and careful his work seems to be, he took extra care in labeling and leaving pertinent information for anyone who may come to service my furnace or do other work at my home. He was very patient when I asked questions and very good at explaining things to me. I feel very comfortable with the generator and how it all works. I am impressed and pleased to say he passed the electrical inspection, in the Town of Brewster, with the most knowledgeable and detailed inspector in the state, ON THE FIRST TRY!" 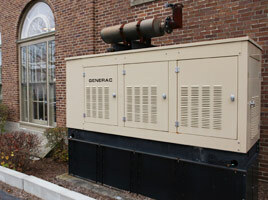 Anne, recently installed a generator through South Shore Generator Sales & Service, Inc.